This was a fun novel to read. I’ve been wanting a book with some kind of secret sisterhood where the main protagonist actually decides to join and stay for the magic, instead of only staying so they can bring the organization down. Of all the characters, I would have to say Gil is my favorite. She is such a sweet girl, it’s hard to believe she’s in a sisterhood for heartbreaking. Liza was fun to read about as well, for me she’s probably one of those characters you love to hate, though I didn’t actually hate her. And Olivia I had mixed feelings on, she kind of ran hot and cold. Lucy was an interesting protagonist. I didn’t agree with why she intially wanted to join the heartbreakers, but I understood it. Who hasn’t at some time been crazy over a boy? The writing was well done. The pacing for the most part was good, though there were maybe two areas that dragged a little because of the lengthy explanations being made by a character. And while I like the ending, I was a little sad at how it came about. I would’ve been happy even if it had gone another way, the way I actually thought it would end before I found out how it really did end. This is a 2012 debut you do not want to miss. 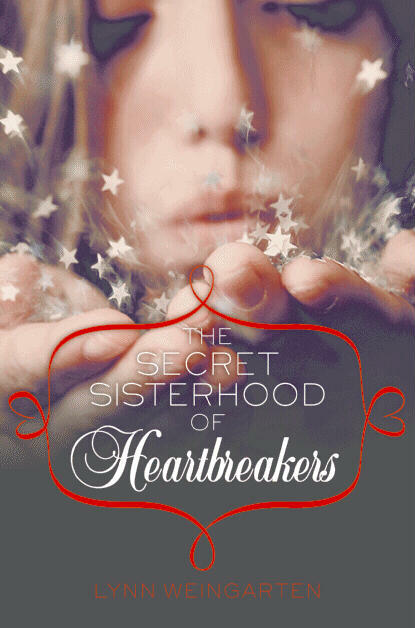 Full of magic, heartbreak, and friendship, this is one book that will be hard to put down. I’ve been wanting to read this one for some time and your review just made me add this to the top of my TBR. Hmm… so the pacing is not that great.That I can deal with! From this line it makes it sound like, a boy breaks her heart, and with the help of these new girls she’s then going to be mean to lots of people to get what she wants. Is that the right sort of idea? Or is it something else? @ Ailsa – Yes and no. Yes because that’s how the magic works, but no because she’s trying to obtain the magic to get back the boy who broke her heart. I haven’t heard of this one before – but I’m going to have to add it to my TBR now, thank you for the great review! This one does sound good. Doesn’t it seem like all “sisterhoods” are made of people that actually hate each other? I’m talking predominantly about The Secret Circle and Magnolia League. Would be nice for a change.